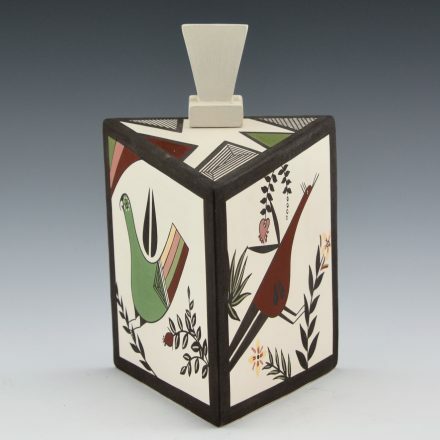 Charmae Natseway is known for her exceptional painted pottery and use of distinctive forms. 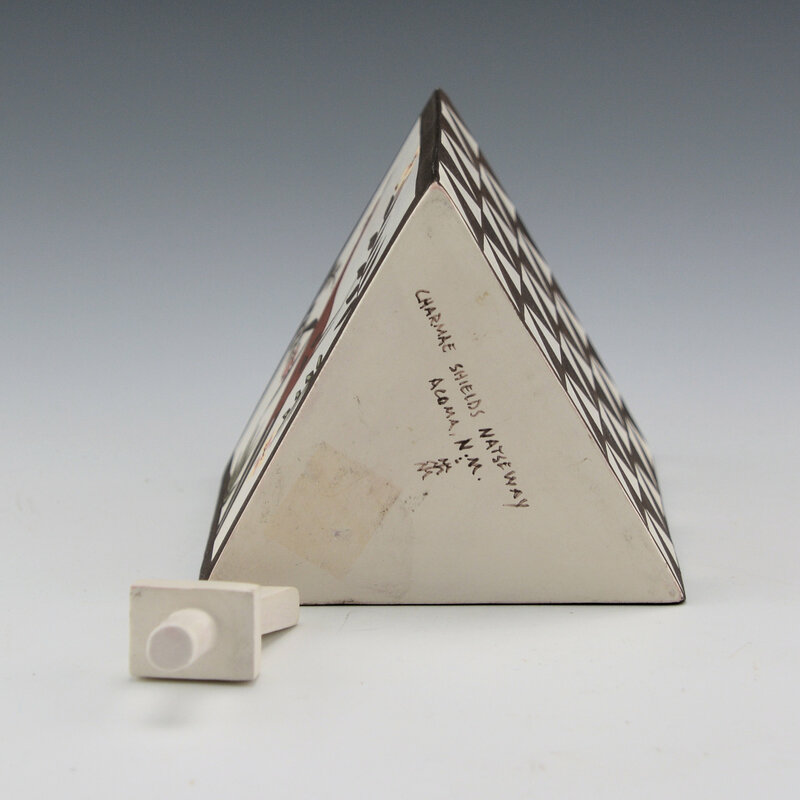 This wonderful seedpot has flat sides and a triangular shape. 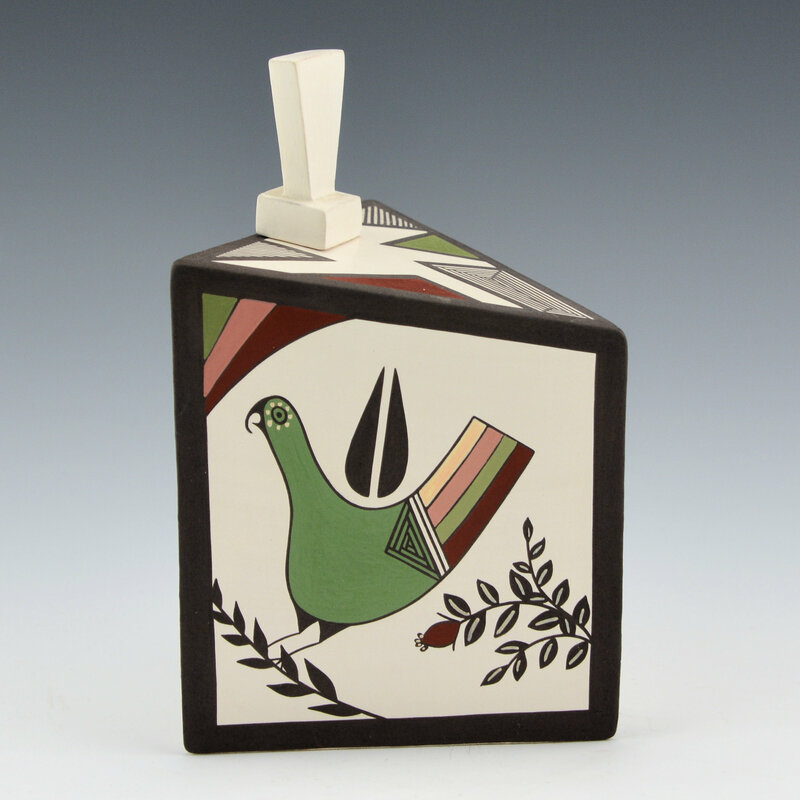 Two of the sides are each painted with a different style of Acoma bird. 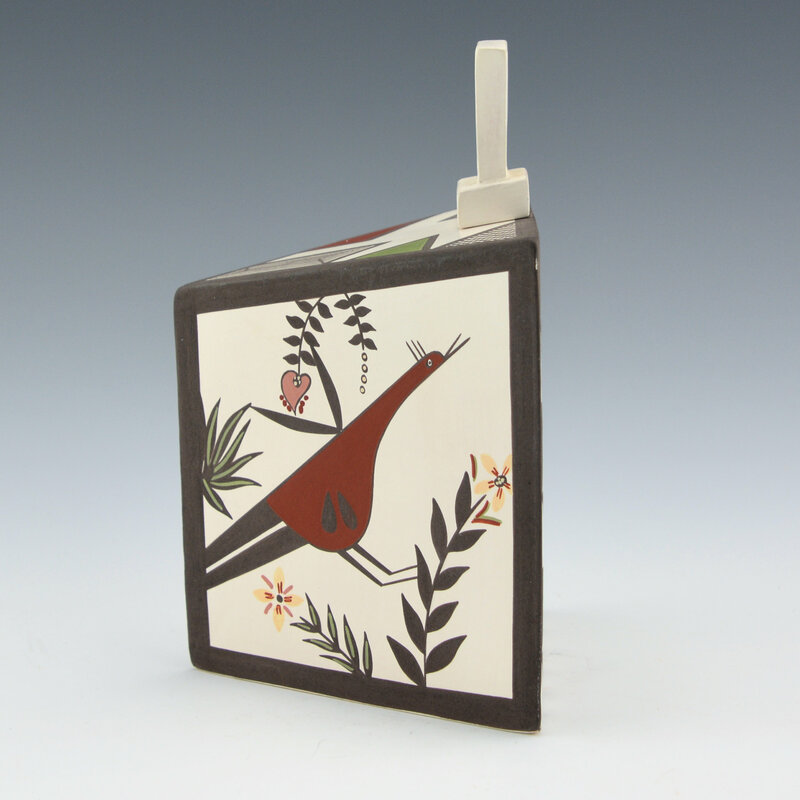 The birds are very detailed in design and painted with various clay slips. 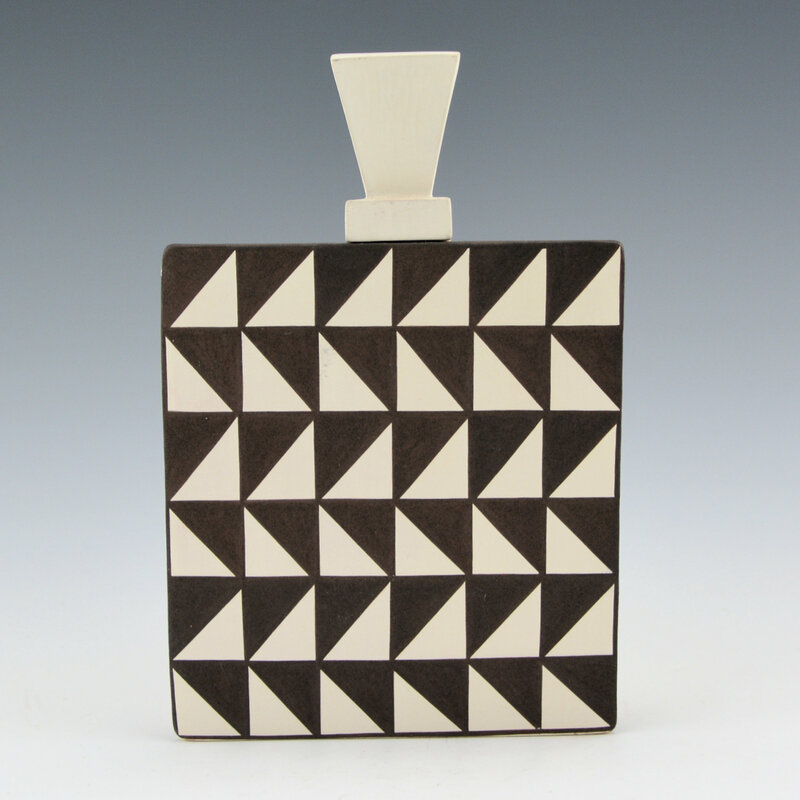 The “back” of the piece is an Acoma triangular design which has an “op-art” appearance. 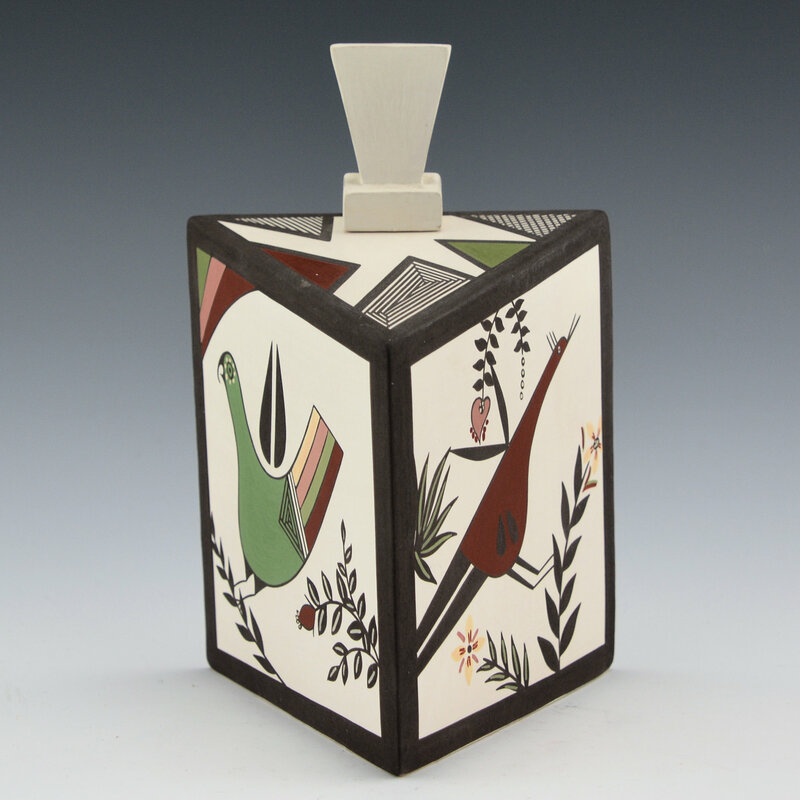 The top of the piece has geometric shaped with both fine-line and colored areas. The lid fits perfectly into the top of the piece. All the various colors are from natural clay slips. The piece is signed on the bottom, “Charmae Natseway”. It is in excellent condition with no chips, cracks, restoration or repair. It is a striking balance of traditional and historic imagery on a very modern form.